Sometimes, there’s nothing more annoying than investing in a trend, wearing it proudly, and then realizing it’s on its way out faster than it came in. This is especially troublesome with shoes because ditching footwear silhouettes you wore only a few times basically feels like a crime. 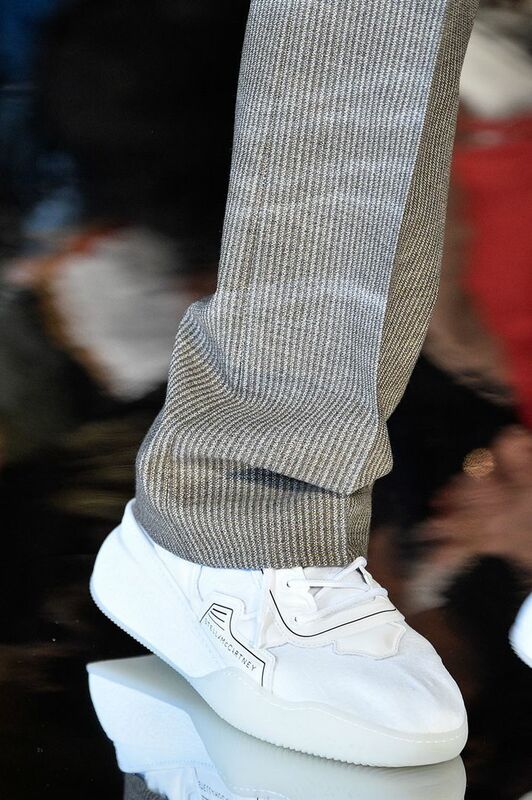 Fortunately, in the sneaker department, those silhouettes you gave into over the last few seasons (chunky sneakers and the like) are still sticking around well into 2019. To prove it, we turned to the spring runways for a sense of the most popular styles and matched them with the Instagram feeds of some of our favorite fashion girls. We uncovered that many of the general silhouettes you know and love are in it for the long haul. Keep scrolling to check out these sneakers, and if you haven’t tested out one of the trends yet, it’s not too late. Those retro-feeling all-white kicks or clunky "dad" sneakers aren't going anywhere anytime soon. While hiker-inspired sneakers started rising up in a major way toward the end of last year, the silhouette is just getting started. Yep, get ready to see more and more fashion girls embrace the practical footwear choice. On the other end of the spectrum, multi-colored sneakers continue to be all the rage, offering a youthful twist to whatever you're wearing. While canvas sneakers (think Converse and Vans) have never gone out of style, like ever, they're continuing to hold strong in an even greater way this year to give that low-key feel to your ensemble. Next, check out how fashion girls style these famous $55 sneakers.